Rotherham-based regeneration specialists Harworth Group plc has announced a number of new deals, including selling off parcels of residential development land for £8.4m. 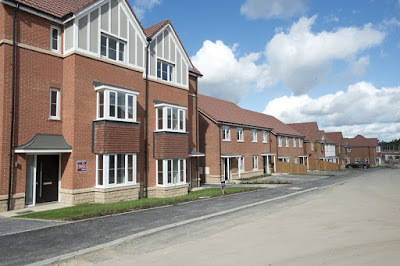 At its Prince of Wales development in Pontefract, Harworth has completed a third land sale at the 917 home consented scheme, with the sale of 5.34 net acres, to Avant Homes Avant, with reserved matters planning consent secured from Wakefield Council to build 83 two, three and four bedroom homes. Avant's second land purchase at Prince of Wales follows its purchase of 11 acres in December 2014 where it has subsequently delivered 131 three and four bedroom family homes. At Simpson Park, the 107-acre former Harworth Colliery site, the Company has unconditionally exchanged contracts for the sale of eight net acres of land to Kier Living, where it plans to build 125 two, three and four bedroom homes over the next two years. It represents the second phase of development at the site, following Jones Homes' delivery of 118 homes since 2015. Phil Wilson, managing director of Capital Growth at Harworth, said: "These transactions provide further evidence of the underlying strength of the residential market in the regions in which we operate in, as well as the significant progress we continue to make at two of our major developments. "Avant Homes' decision to purchase a second land parcel from us at Prince of Wales proves both the strength of the development as a residential location and the popularity of their product with local people. I am also pleased to welcome Kier Living as a new customer and would like to thank Homes England for providing the loan to allow the next phase of land at Simpsons Park to be brought forward. "There remains a continued and well-publicised lack of housing land supply in the regions to meet the needs of a growing population, presenting an opportunity for us to leverage our market-leading masterplanning and technical expertise to both deliver land that helps to meet this shortage whilst also realising further value for the business." The focus for Harworth has been on "beds and sheds" sectors and the company, which is based close to its Waverley development in Rotherham, owns and manages a £400m+ portfolio of around 21,000 acres of land on around 135 sites. Harworth has also announced a deal at its commercial development scheme at Logistics North in Bolton where it has set up a joint venture with Lancashire County Pension Fund. rijo42, the UK's leading supplier of commercial coffee machines, coffee beans and coffee ingredients, has signed up to take a 20,344 sq ft unit.